Focusing your SEO efforts on improving your company website’s local search ranking is a great idea for many businesses. The question is, how exactly do you get your website ranking at that top spot without overspending on your budget? We provide you with some expert insight below. The only way in which to discover what is working and what is not when it comes to your search engine optimisation strategy, is to keep track of your rankings, and to take note of, and when, and why they change. The best tool to use for this is Pro Rank Tracker, which has been especially designed for tracking local search rankings. This refers to the first three businesses that pop up in response to a local search query entered into Google. How do you get your company featured here? Dedicate time to improving the reviews on your website, as well as improving your Google My Business signals. 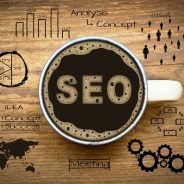 Your on-page SEO will also go a long way towards helping you achieve this goal. Just like the Yellow Pages directory was a must for businesses back in the day, online directories are essential for businesses in modern times, especially when it comes to local search. Yelp, for example, is one of the most popular options out there. Without over-flooding your website with keywords, as a result, try to include your location as a keyword whenever appropriate. For best results, include it in your title tag and in the first and last paragraphs of each piece of content that you produce as part of your content marketing strategy. If you’re looking to improve your local search rankings and further boost your website’s SEO, the WSI OMS team of online marketing experts is here to assist. Contact us today to learn more.